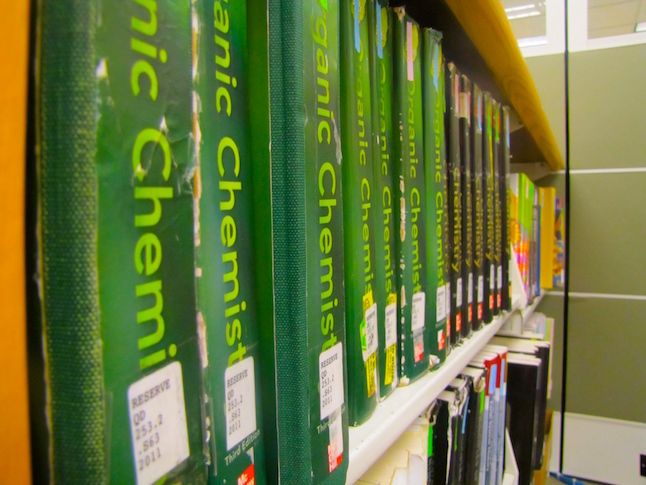 The Academic Affairs Committee of MCSG is allocated $10,000 every year for the Textbook Reserve Program. With this money, the AAC works with the DeWitt Wallace Library to purchases textbooks for Macalester students to check out of the library. The selection process focuses on expensive textbooks and frequently relied upon textbooks to ensure that all students have access to their course materials through effective and affordable ways. 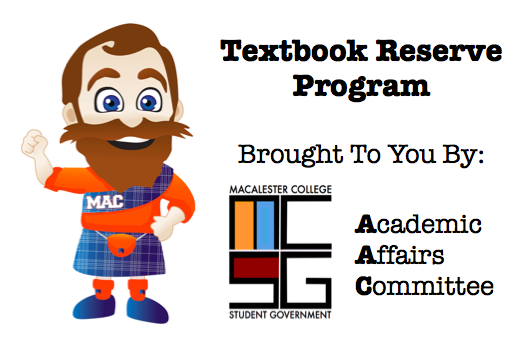 Please consider requesting additions using the form on this page; the AAC adds new copies to the Textbook Reserve Program at the beginning of each semester based on student, faculty, and staff requests. To see a list of textbooks on reserve, click here. To see the Textbook Reserve Bill (updated Nov. 2016), click here. Request a textbook for the reserve program. The Textbook Reserve Program is not the only way to get your course texts on campus for no cost. The Book Bank is located outside of the MCSG office on the second floor of the Campus Center. Please consider donating any of the books you’ve used for class—textbooks, novels, nonfiction, anything—to the Book Bank. A full list of the texts available for students to take for personal usage (and hopefully return later!) is available here.